LILITH SISTERHOOD - The definition of sisterhood is the solidarity of women based on shared conditions, experiences, or concerns. 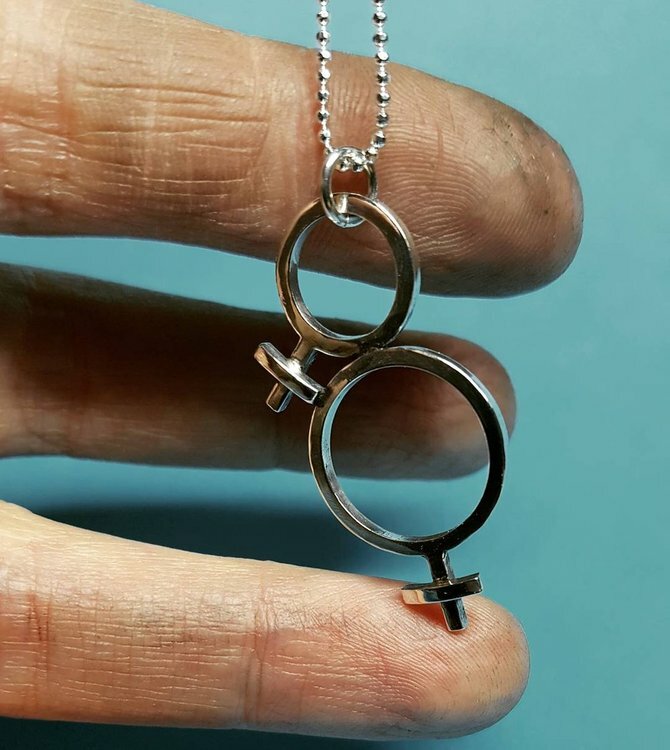 This necklace symbolise all that, but most of all its a necklace made out of love for all the women out there who tell their stories and for the sisters next to them that gives them the strength to do it. This necklace comes with an 70 cm long faceted sparkling chain.